In the past, growing our own food means moving to a rural area, but with the development of technology, we are able to do so in the middle of urban areas though. 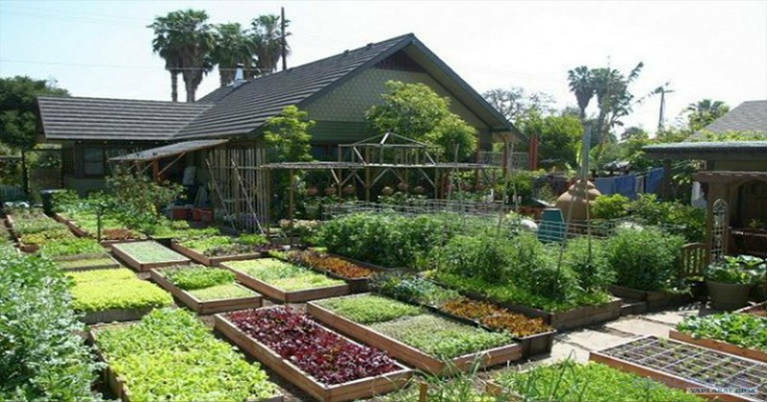 In this article you will see a video that explains to us about how to create a “Garden of Eden” in a 4000 square foot farm! The techniques described in this video are going to revolutionize a variety of traditional steps in the utilization of agricultural land. Parks described in this video is able to provide everything needed for the whole family. They have two goats, four ducks, and eight chickens. These ducks and chickens are able to provide thousands of eggs per year. Not only provides the eggs, the two types of animals are able to reduce the bugs. This is the solution for anyone who wants to get a supply of organic foods at cheap prices. The family also sell organic products surplus for not less than $ 20,000 per year. They sell organic products to a variety of local organic chefs. What amazing is that they use solar power so as to reduce the electricity bill up to $ 12 per month. They are also capable of producing their own bio-diesel, thus cut fuel costs! By duplicating what taught in this video then you can return to a healthy lifestyle at the same time save your monthly expenditures.